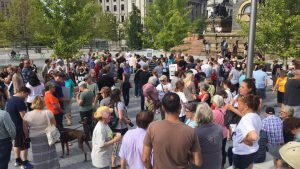 About 200 people gathered on Public Square on August 13 for a peace rally in solidarity with Charlottesville, Virginia in the aftermath of the horrific events there the days previous. Several members of Heights Christian Church joined with others to sing, pray, listen to speakers and share signs proclaiming peace, justice, and resistance to hate and discrimination. More events are being planned. Stay tuned and consider joining us in speaking out! Below are opportunities to follow Micah 6:8 (“Do justice, love mercy, and walk humbly with God”). Please click on the names of events to learn more. 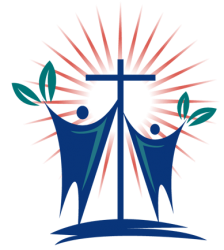 As people of faith, we remind Governor DeWine and Ohio lawmakers that a budget is a moral document. JOIN US ON APRIL 2 TO LEARN AND SPEAK OUT ABOUT THE BUDGET. We will get a summary out soon on what is in and what is out of this budget proposal. But the proposal means nothing if our legislators don’t hear from us about OUR priorities. Be sure to register for advocacy day on the 2nd. Tell the EPA: Do not repeal the Clean Water Rule. The Clean Water Act provides crucial pollution protection for our nation’s waters. Click the underlined link to submit a public comment. Green America – Tell Darden Restaurants (parent company of Olive Garden) to make its food more healthy, sustainable and fair. Trayvon Martin’s death 5 years ago sparked a movement. Join us in remembering him. Ten Ways to Fight Hate: A Community Resource Guide – Hate in America has become commonplace. What can we do to stop the hate? The Dream Corps – The Dream Corps brings people together to solve America’s toughest problems. One.org – At ONE, we know that our voices, joined with the millions of other ONE members around the world, can change the realities of poverty, hunger, corruption, and disease that deprive too many of their God-given dignity.